• Lightweight poly shell and lining in a smooth face that glides easily over bottom layers. 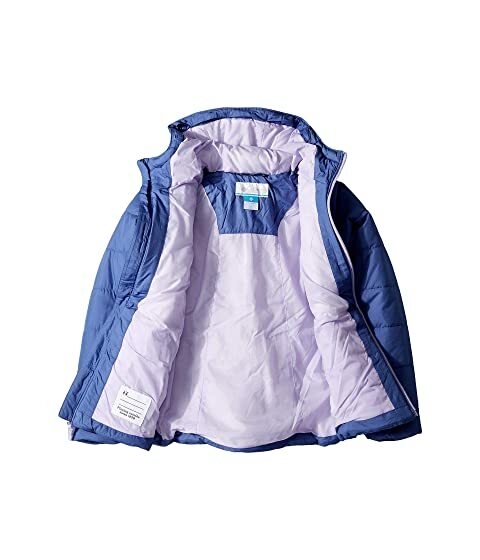 • Water-resistant protection from light rain or snow. • 210T taffeta weave lining. • Low-loft polyfill insulation provides warmth without bulk. • Crimped polyfill increases surface area to improve warmth retention. • 240 g/m² fabric weight. 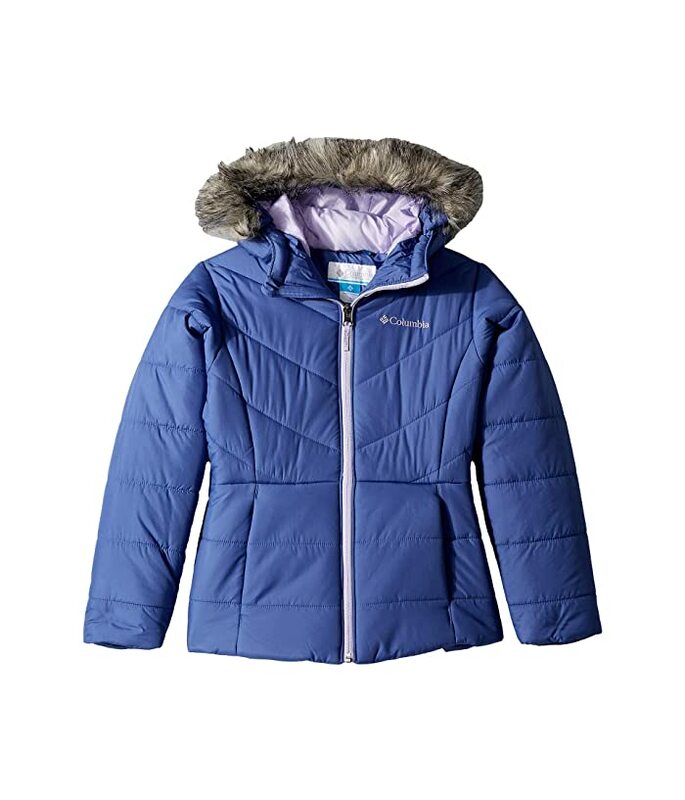 Removable faux-fur trim details the hood. 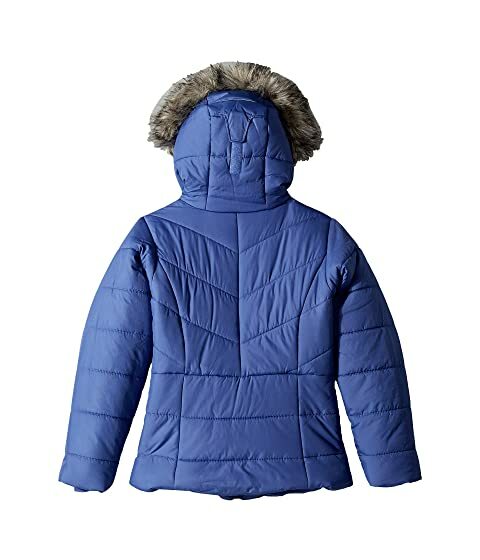 Three-piece hood with adjustable, hook-and-loop back tab.